The second game in the Battle for the Number One pick, New York style, will take place Sunday at L.P. Field when the New York Jets come to town. Both teams have only won two games but at least on paper the Jets would seem to hold the edge. The Titans are on a 7 game losing streak while the Jets last win was in Week 10 against the Pittsburgh Steelers. We bring you our Jets at Titans preview. Some are calling this the Chris Johnson revenge game but that seems premature to me. Johnson’s season with the Jets has not been spectacular despite him basically splitting carries and playing time with Chris Ivory. He recently had his first 100+ rushing game as a Jet, a long run of only 47 yards and he only has one rushing touchdown on the year. 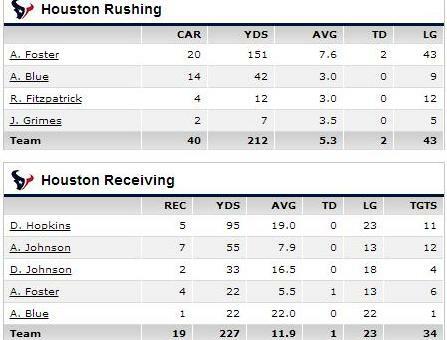 By contrast, Ivory has 2 100+ rushing games, a long run of 71 yards and five rushing touchdowns. As bad as their record may be, the Jets can run the ball and stop the run. The Titans can do neither. The Jets almost beat the Miami Dolphins with a game plan that involved second year quarterback Geno Smith only throwing 13 passes. The Jets quarterback situation is largely responsible for their record with neither Michael Vick nor Smith being very good this year. Still, that strategy could work given the Titans absolute inability to stop the run. Over the course of the past several weeks, this is what running backs has done versus the Titans defense. 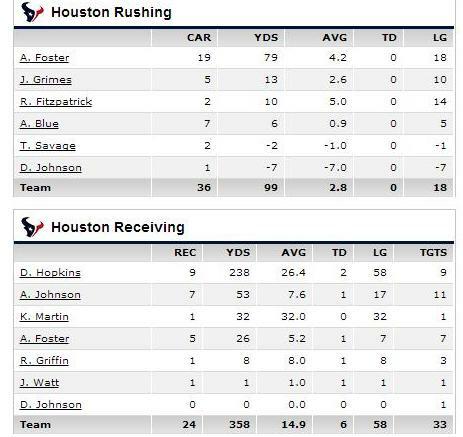 Also, don’t let Arian Foster’s numbers fool you. Ryan Fitzpatrick won the AFC offensive player of the week award for his six touchdown performance against the Titans. Foster did real work in their first meeting. The Titans have been blitz happy lately not that it’s been very effective. Defensive coordinator Ray Horton also stated on Thursday that he doesn’t have the personnel to run his type of defense. There has been a decided lack of accountability from the Titans coaching staff regarding how poorly the team has played this season. RT @terrymc13: Ray Horton says #Titans have blitzed 52 times in past two games with no sacks. RT @terrymc13: Ray Horton says he does not have the personnel to run the system, says too many missed tackles, he says. The Titans offense has struggled greatly and they will be without rookie quarterback Zach Mettenberger who re-injured his shoulder in the Week 14 loss to the Giants. Jake Locker will be the starter if Mettenberger can’t go. Locker has played sparingly since Mettenberger took over the starting job in Week 8 and the results have been mixed. In his last two games in relief, he has throw three interceptions to one touchdown. He has also taken five sacks. He also lost a fumble. The good news is that Locker won’t be coming cold off the bench and hopefully the Titans have given him some first team reps in practice this week. The offensive line might get left tackle Taylor Lewan back which could be good news for Locker’s health behind this leaky offensive line. Michael Oher however is getting a second opinion on his injured toe and is unlikely to play. The banged up offensive line will face a formidable Jets frontline that includes Mohammed Wilkerson, Sheldon Richardson, and former Titan Leger Douzable who has niched a nice career after one injury plagued season in Tennessee. Former Titan Jason Babin has also found a home playing outside linebacker for the Jets. The Jets have 33 sacks and 29 tackles for a loss. Wilkerson has been dealing with a toe issue and head coach Rex Ryan estimates he is 50 percent to play Sunday. 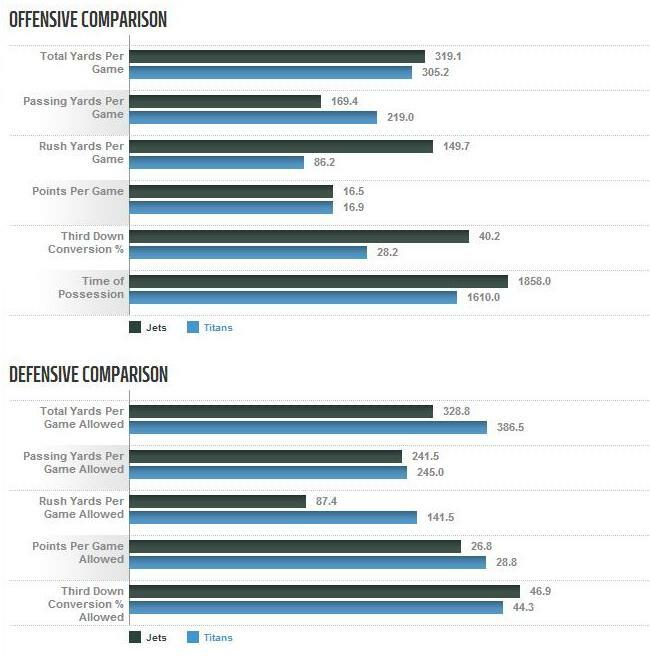 The Jets secondary has some weaknesses but the Titans have been unable to capitalize on weak secondaries this season even when healthy at wide receiver. Justin Hunter is out for the year and Kendall Wright has a cracked bone in his right wrist and didn’t play in Week 14. He has been limited in practice this week. Here is the full Thursday practice report. The loser of this game is one step closer to the number one overall draft pick. Currently, the Titans own the second overall selection while the Jets own the fourth overall selection. The Titans are unanimously at the bottom of the NFL Power Rankings. These two teams have met each other 42 times (including 1 postseason game), with the Titans winning 24 games winning 17 games. They has also tied once. The Titans have won the last two games at LP Field, including last year’s game where the Titans harassed Geno Smith sacking him five times. The Jets got them back though knocking Jake Locker out of the game on a questionable hit by Mohammed Wilkerson and Willie Colon. This is a later game and it kicks off at 3:05 pm CDT. Per Awful Announcing, the broadcast crew will be Andrew Catalon, Steve Beuerlein, and Steve Tasker. We will update you with the referee assignments when they become available. The weather is expected to be partly cloudy with a high of 55 degrees. Vegas initially opened with the Titans as home team favorites but the line since moved to Jets -2.5. Per The Linesmakers, Tennessee is 1-10-1 ATS in its last 12 home games (1-4-1 ATS this year). Also per @TheLinemakers New York is 0-6 SU and 1-4-1 ATS on the road this year. Former Titans safety Chris Hope will be the Honorary Titan for the game. Hope played for the Titans from 2006 through 2011. He was instrumental in the team’s 2008 season when their top rated defense propelled them to the playoffs. 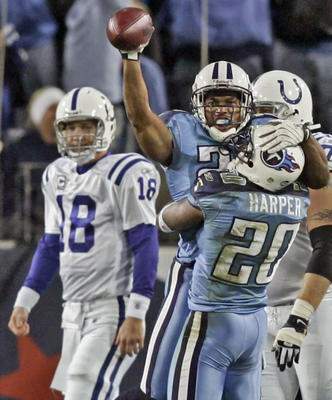 It was the last time the Titans made a playoff run.